Far too often, those who stand up and do the right thing end up being severely punished. So many have been destroyed for stepping outside the status quo, even though doing so is the honourable and proper thing to do. While such is not germane to <?xml:namespace prefix = st1 ns = "urn:schemas-microsoft-com:office:smarttags" />Nigeria, it does appear that punishment for a job well done is increasingly becoming a Nigerian trademark. One need look no further than the rise and incredible fall of the former anti-corruption Czar Nuhu Ribadu (main picture) to confirm that in Nigeria, when it comes to doing the right thing for the country - no good deed goes unpunished. Once a shining, and arguably, untouchable star, Ribadu is now fighting for the preservation of his legacy and the accomplishments he made from being flushed down the drain. There were signs that his position in the Economic and Financial Crimes Commission (EFCC) was in jeopardy not too long after Yar'Adua came into office, what with the constant comments and even acts of deliberate interference by the Attorney General of the Federation, Michael Aondoakaa. 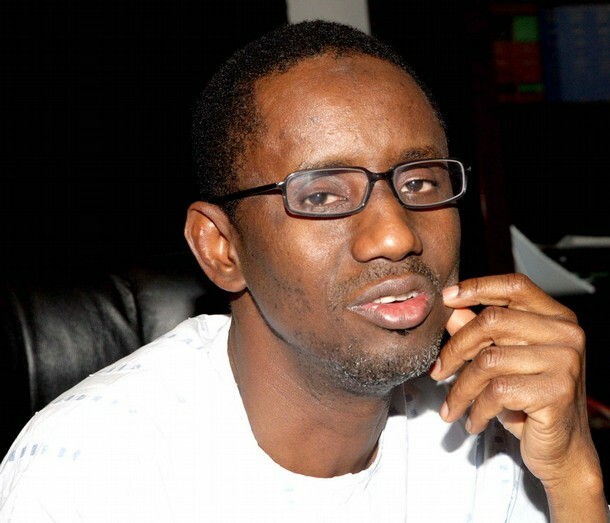 The whittling away of Ribadu's 'shine' happened over a period of time but kicked into high gear when he was removed from his position as chair of the EFCC and sent for 'required training' to the National Institute for Policy and Strategic Studies (NIPSS). During that 'training', Ribadu was demoted from Assistant Inspector General to Deputy Commissioner of Police, an act for which he later sued the Police Service Commission (PSC). The case was eventually thrown out of court. Just recently, he was prevented from graduating from the 'training' course by armed State Security Service (SSS) officers who forcibly removed and arrested Ribadu at the NIPSS (Nigerian Institute of Policy and Strategic Studies) ceremony. As of today, his graduation certificate is yet to be given to him, prompting President Yar'Adua, who typically avoids interfering in various domestic issues, to publicly deny that Ribadu's arrest and other woes were prompted by his office. The President went on to 'order' NIPSS to confer upon him his certificate and institute a 'probe' into the graduation incident. Despite that, the list of problems Ribadu faces only continue to grow. Now, his former employer, the PSC is set to 'query' Ribadu for improper dressing and misconduct for recently showing up with other NIPSS 'students' to meet with Yar'Adua in civilian clothing. To add insult to Ribadu's injury, the man was recently dismissed from the Nigerian Police Force after protesting his demotion in a court of law. In the quest to investigate the theft of Nigeria's money by some unscrupulous citizens, Ribadu, undoubtedly, made enemies. His meteoric rise to the second highest position in the Police Force, AIG, must have been hard for many of his peers to swallow. However, considering his accomplishments as head of the EFCC, such as the incredible retrieval of $600 billion in stolen public funds, and the investigation and trial of many previously deemed untouchable individuals, his promotions, though atypical, should not be shocking. What should be shocking is the unfortunate suffering at the hands of the PSC and indeed the Federal Government (via Yar'Adua's silence) that Ribadu and his family are forced to endure simply because he did his job. I hope Ribadu does not regret rejecting the $15 million bribe, surely one of many that he was offered to not investigate a certain individual. I hope he does not regret doing exactly what he had been greatly criticized for - finally investigating former President Obasanjo and his friends/family/allies because once he took the EFCC down that road - announcing that it will look into OBJ's activities (which Yar'Adua and the new EFCC have now squashed), investigating Ibori, and OBJ's daughter Obasanjo-Bello - his troubles really began. But what is more disconcerting, is the precedent that Ribadu - as a man, as a concept - sets for Nigeria's present and Nigeria's future. By allowing Ribadu to be subjected to such treatment, Nigeria - its government and its people - have failed to protect those that have worked for the betterment of the country. Clearly, in the performance of his job at the EFCC, Ribadu was not perfect, but for serving the people's interests, he should be allowed to exist in relative peace without the fear of constant attack and even physical harm as he himself has asserted to. Given Ribadu's situation, why would any Nigerian volunteer to assist the government in its proclaimed battle to limit corruption? In fact, why would any Nigerian assist the nation in doing anything good, if it will ruffle feathers and potentially put one and their family at risk? How can we not protect those charged with going to battle for the people? The failure to understand the importance of protecting those, like Ribadu, when things get rough is a failure that we all are guilty of. Instead, we all watch, seemingly powerless, but hoping that something good will come out of all this. But we cannot escape the unfortunate precedent set by these series of events, nor can we ignore the reality that for his service to the Republic, Ribadu will be punished. The only question that remains is how will it all end. For Ribadu's sake, the sake of his family and indeed the future of Nigeria, I hope that in due time, focus will turn away from Ribadu and he will be allowed to live in Nigeria (if he so chooses) in peace. If not, if Ribadu is forced to leave the country or something sinister happens to him or his family, it will be one more shortcoming Nigeria will eventually have to account for. The writer is a journalist and blogs as Nigerian Curiosity.